In today’s global manufacturing arena, maintaining high quality and low cost is vital for running a successful manufacturing enterprise. While new and innovative manufacturing capabilities are being widely incorporated into enterprises to improve their performance and productivity, most of these enterprises do not have the capacity or expertise to capitalize on opportunities. Here, manufacturing consulting solutions and services will assist organizations in implementing the change initiatives to achieve manufacturing excellence. 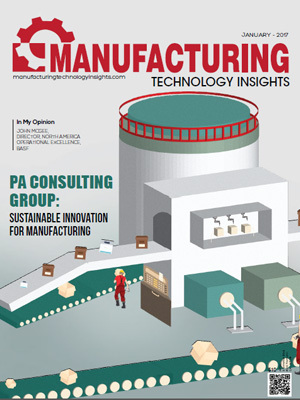 The manufacturing consulting professionals work with clients to analyze their problems and recommend the best course of action for a given initiative— significantly saving time, effort, and money for the organization. Furthermore, these providers have deep expertise in multiple systems including ERP and BPM, alongside cloud and big data to assist manufacturing leaders execute operations at peak efficiency, minimize the total cost of ownership and maximize return on investment. 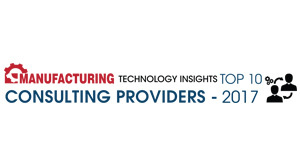 In this edition of Manufacturing Technology Insights, we bring to you “Top 10 Manufacturing Consulting Providers 2017,” featuring the best solution and consulting providers offering solutions and services to the manufacturing industry. 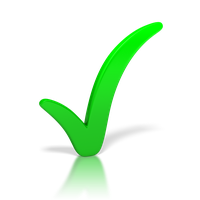 The companies listed here showcase extensive business knowledge and innovative strategies combined with talent base across locations. 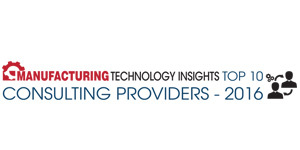 A distinguished panel comprising of CEOs, CIOs, VCs, analysts and the Manufacturing Technology Insights’ editorial board has selected top players from over thousand companies. The listing provides a look into how these consulting companies can help you optimize your process while giving a competitive advantage in the market. Enhanced Information Solutions Offers software solutions that optimize and provide real-time insights into manufacturing processes.